I have always harbored sincere respect for Patrick Seale. His objectivity tempered by a little sympathy for Arab causes coupled with an authoritative style of writing, made him “a must read” for those of us interested in matters Levantine. I was reading Mr. Seale when I was a graduate student at the University of Michigan in Ann Arbor studying at the Department of Near Eastern Studies for my Ph.D. I later went to law school but continued to follow Mr. Seale’s career which included his unprecedented entry into the inner world of former president Hafez Al-Assad, Dr. Bashar Al-Assad’s father. But I can tell Patrick Seale has not been to Syria for a while. I can tell because he doesn’t make references to events he actually sees; whereas, instead, he points to facts in an abstraction of sorts. Still, despite the distance, he writes soberly. He looks like a good candidate for the role of George Smiley. 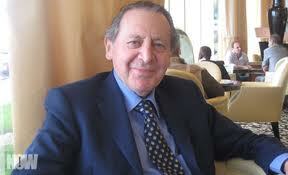 Patrick Seale is a respected British expert on subjects levantine. Mr. Seale, like so many of his similarly-situated English experts, fails to inject the role of Russia in the stewpot. When he speaks of Dr. Assad’s ability to withstand Western-imposed pressures on his government, he conveniently ignores the fleet of warships Russia has anchored at both Tartous and Latakia. As we have written before in numerous articles, the Russian role is not simply one of pure symbolism, it emerges from Russia’s own sense of survival; its need for a naval base in the Mediterranean; its refusal to abjure its privileged monopoly over natural gas supplies to Europe; its renewing super-power persona on the world stage anticipating the re-emergence of Vladimir Putin. If Mr. Seale writes that Dr. Assad may have some more months in power, he must be in a cloud. 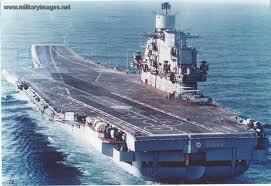 Russia cannot allow Bashar Al-Assad to fall, anymore than Iran can afford this! Dr. Assad’s maneuvering with Arab League foreign ministers has little or nothing to do with buying time for his government. Dr. Assad has already been told by Russians and Chinese that no resolution targeting Syria can pass in the U.N.S.C. Russia and Iran have both told Dr. Assad that his government’s fall would spell irreparable disaster for both countries’ foreign and military policies. He is not concerned about his survival. Instead, like any patriotic Syrian, he is concerned about the frailty of Syrian society in the aftermath of the unrest which is causing so many Syrians economic hardship. He is obsessed with bringing about tangible change in Syria’s educational institutions; its banks and financial sectors; its scientific resources. With the destabilizing effects of armed gangs skulking around the hillsides outside Damascus, the ability to persevere in developing institutions diminishes. Mr. Seale also states without any proof that tourism in Syria has collapsed. This is untrue. Syrian expatriates (many of them counted as friends and relatives) fly regularly to Syria. Lebanese constantly cross the border to purchase cheaper Syrian goods. My family in Latakia tell us that Jordanian and Turkish families visit and are expected to return in the springtime to rent their apartments in the mountains. When it comes to banking, Syrians are very clever: no American imposition of sanctions can prevent them from opening accounts in Lebanon, Jordan and Iraq. Business is going on pretty much as usual. Agriculture is healthy with Syrians from every class appearing well fed. Syria also produces her own pharmaceuticals which means that no medical crisis is on the horizon as confirmed some months ago by the U.N. and the Red Cross. Where the analyses appear to come up short, is when a comparison is forced upon the reader. Although Mr. Seale does not go this far, some writers are suggesting that Dr. Assad is borrowing a page from his father’s book on retaining power. We at SyrPer do not agree and wish he would do more to suppress the violence in his country with a type of violence his father would respect. Seale’s article titled “Can the Assad Regime Survive?” disappointed me because of the use of the word “regime”. I do not normally refer to David Cameron’s government as a “regime”. You won’t read something like: “And the Cameron regime did this or that today…”. I wish he would refer to the government of Dr. Assad as a “government”. In any case, I hope you like his article. I think it is intelligent and perceptive. If he is reading my blog, I’d like to say hello and “keep up the good work”. Hello to Fred and Val in France. Looking forward to that bottle of Barsac. I’ll be posting my friend, Khalil Rammal’s article, if he gives me permission.